This simple salad recipe uses sushi grade scallops and no searing required, which means less oily prep work in the kitchen. As a result, this can be a quick and easy starter for fancy steak dinner. 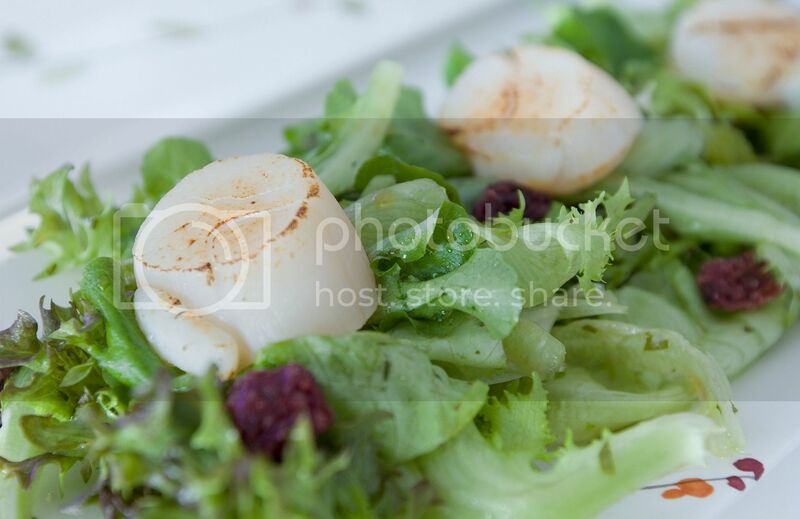 One other option is to serve the scallop salad with toasted bread and butter on the side, making it a complete light meal. Ingredients (for two small portions)? 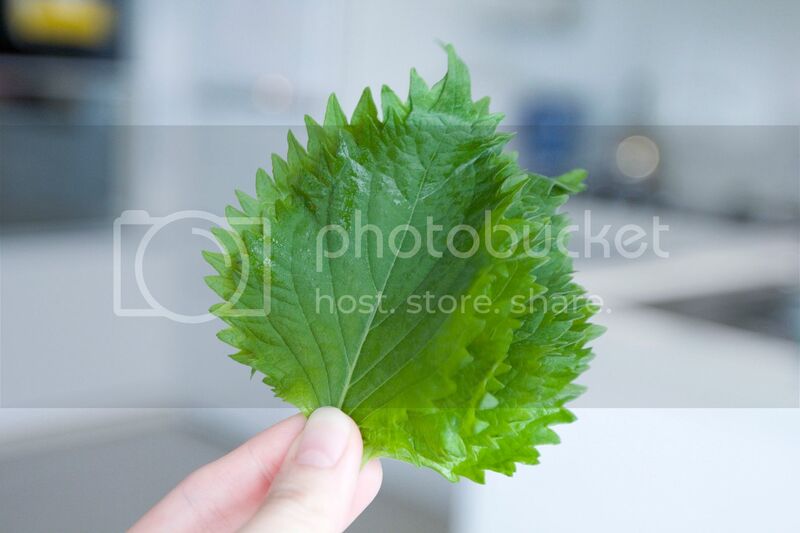 Finely chop the shiso leaves. Stack the leaves then roll them up like a tube. Slice the leaves to get thin strands then start chopping from the other direction. Mix finely chopped shiso leaves together with juice of half lemon, 1 tablespoon of grape seed oil, and 1 1/2 tablespoons of tsuyu. Tsuyu can be substitute with light or white soy sauce. 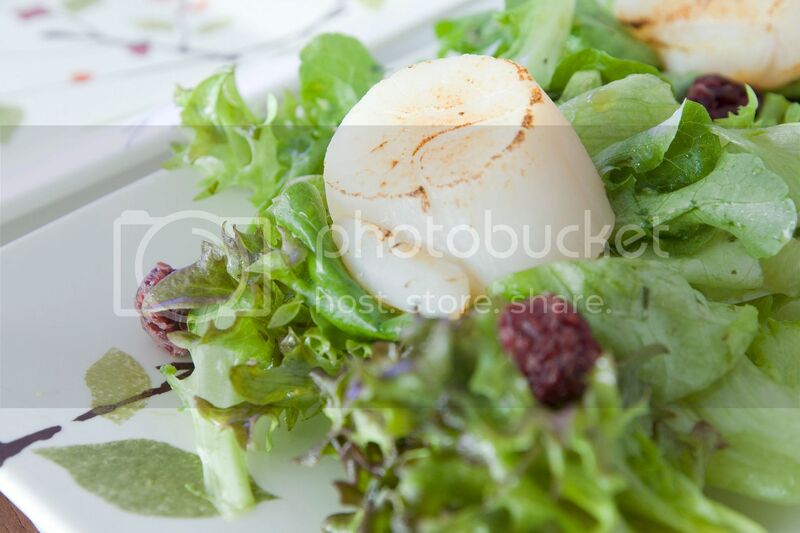 Toss the salad greens with salad dressing. Transfer seasoned greens to two serving plates then add the dried cranberries. The sushi grade scallops can be served raw or torched slightly before serving. 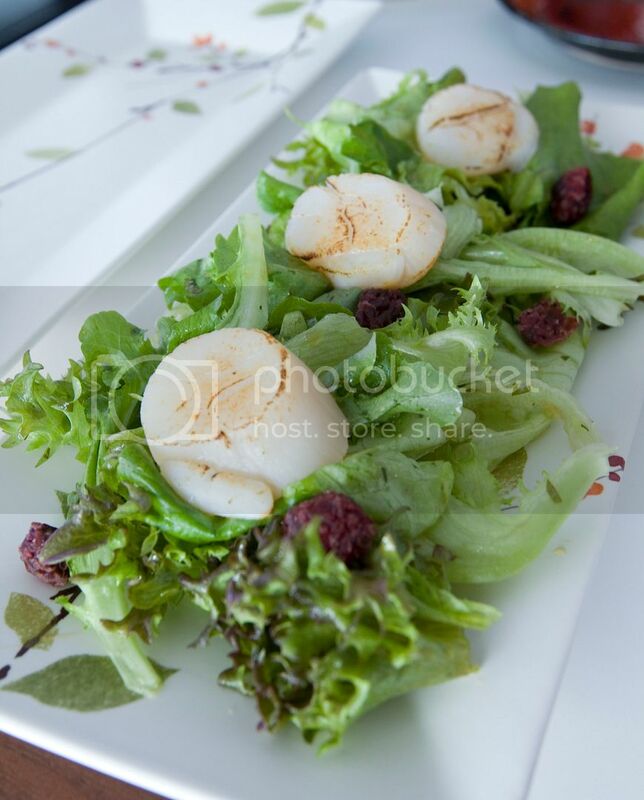 Place the scallops on top of the salad greens. The leftover shiso leaves can be used in dishes such as pork rolls and cabbage rolls. You can also make more shiso infused dressing and store in the fridge up to one week. The shiso dressing works well as a flavor boost when drizzle on top of grilled white meat.